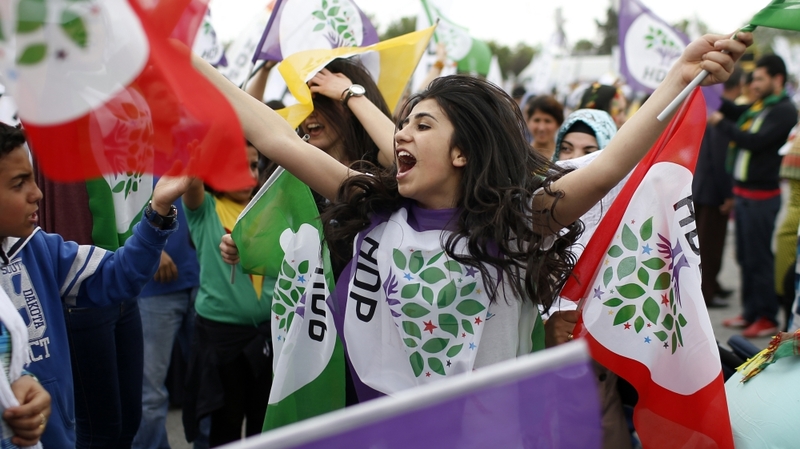 Activists from Turkey's Kurdish lead People's Democratic Party (HDP). Russia’s current military action in Syria, its first such action outside former Soviet territory, has shocked the world. The moment the bomb detonated. Ankara, October 10, 10:04am. The following statement was released by Selahattin Demirtaş and Figen Yüksekdağ, co-chairs of the Peoples Democratic Party (HDP), on October 12 in response to the October 10 bombing of a peace rally in Ankara organised by the HDP, trade unions and civil society organisations. Following the attack, police blocked ambulances and attacked survivors. There was massive participation in the general strike declared by four main trade unions on October 12 and 13 in protest at the October 10 massacre in Ankara. The strike brought life to a halt. While there was large participation across Turkey, thousands of workers took to streets in Ankara where the October 10 blasts claimed the lives of at least 128 people and left as many wounded. A crowd salutes victims of the Ankara bombings, October 11. Turkish trade unions began a two-day general strike on October 12 in protest at the bombings two days earlier at a peace march in Ankara peace march that killed more than 125 people, Morning Star online reported. Funeral in Cizre of civilians killed by Turkish state. The Turkish right wing takes winning elections seriously. The ruling Justice and Development Party (AKP) of President Recep Tayyip Erdoğan is so serious about achieving the result it wants in parliamentary elections on November 1, it is pushing the country to civil war.